Wide range of circular and oval ducts and accessories. 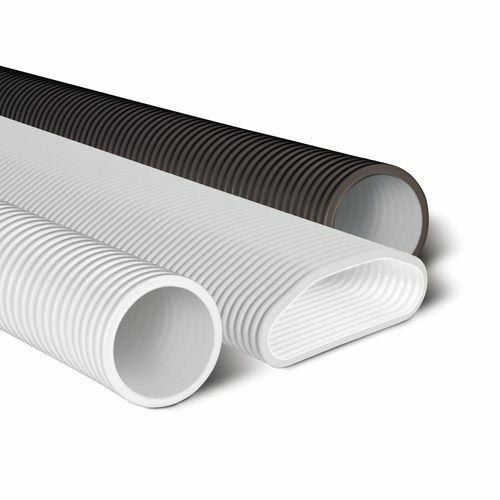 HDPE ducts, no PVC, no VOC. Airtight and low pressure losses. Possible to install in attics, suspended ceilings, walls, slabs and screeds. Ultra-fast “One-click” system requiring neither tape nor adhesive. Modular system used to connect circular and oval elements. Easy to identify ductwork: anti-static version is black, anti-static and anti-bacterial version is white. Ducts have smooth inner walls, supplied capped. Anti-static treatment to prevent clogging. Anti-bacterial treatment (with silver ions) to limit bacteria development inside the duct. Temperature range: -25 °C to 60 °C. 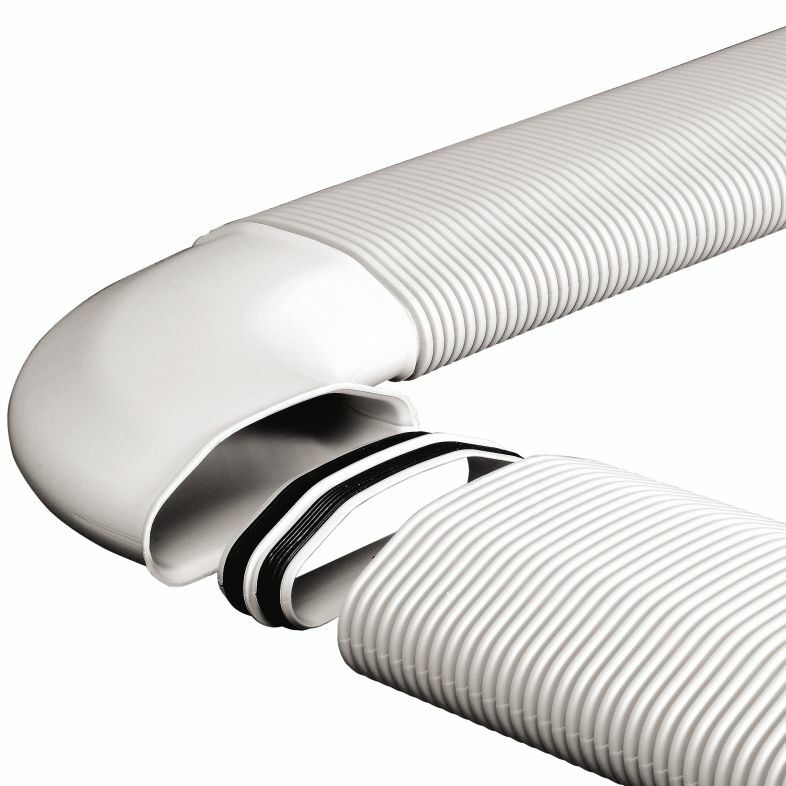 Oval ducts: 132 x 52 mm, circular ducts Ø 75 mm and Ø 90 mm.